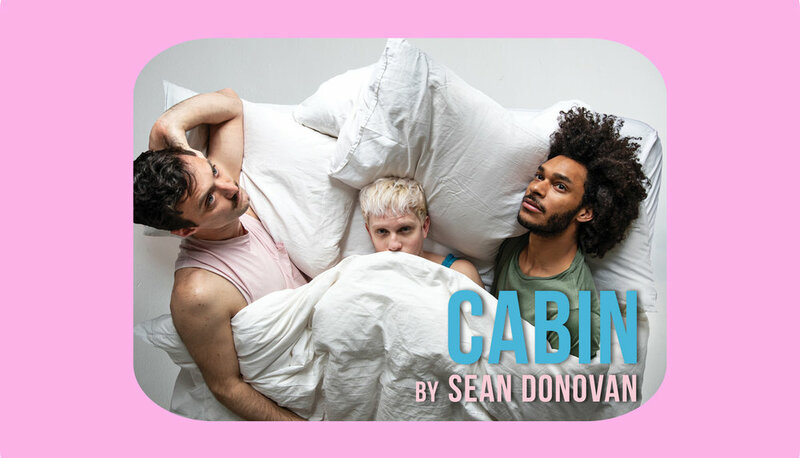 Part dance, theater, and film, CABIN explores violence, the complexities of queer desire and intimacy, and the lines between biography and fiction. It follows three queer men and the creation and destruction of their relationship in a cabin in the woods. It is a story, but it is also about story itself, how story is told and how disparate forms of expression can serve in the evocation of the feelings and sensations of memory. CABIN is made possible by the New York State Council on the Arts with the support of Governor Andrew M. Cuomo and the New York State Legislature, and sponsored, in part, by the Greater New York Arts Development Fund of the New York City Department of Cultural Affairs, administered by Brooklyn Arts Council (BAC). Production design support provided by the Edith Lutyens and Norman Bel Geddes Design Enhancement Fund, a program of the Alliance of Resident Theatres/New York (A.R.T./New York). CABIN has been supported through residencies and work-in-progress performances in CUNY’s Prelude Festival, The North American Cultural Laboratory, NYU Skirball, and The Public Theater’s Under the Radar Festival as part of their Devised Theater Working Group. The development of CABIN included a residency at NACL (North American Cultural Laboratory) in Summer 2018 as part of a new long-term partnership with The Bushwick Starr.